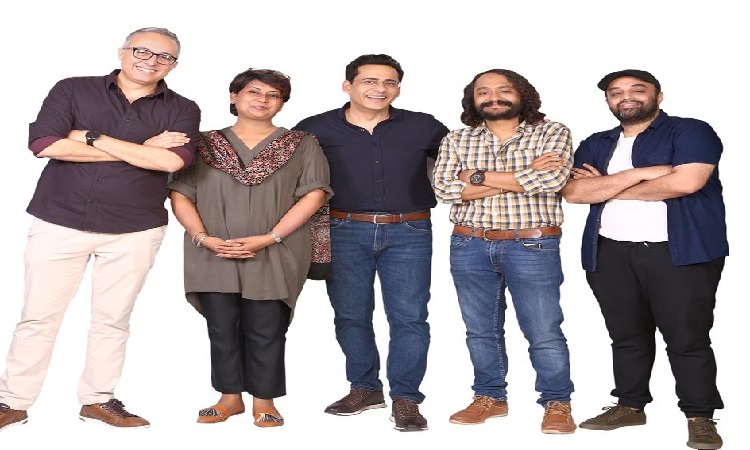 Big Synergy TEAMS UP with 'Mirzapur' and 'Fukrey' makers! Anil Dhirubhai Ambani owned Reliance Entertainment's Big Synergy has teamed up with three exciting filmmakers to create a mega entertaining web series Paan Parda Zarda. Walky Talkies is the joint venture of three successful filmmakers - Mrighdeep Lamba (Fukrey, Fukrey Returns), Gurmmeet Singh (Mirzapur, Inside Edge) and Shilpi Dasgupta (untitled under-production film with Sonakshi Sinha and Badshah). After garnering accolades for their films and web series, the trio has come together with Reliance Entertainment's Big Synergy to create Paan Parda Zarda - an intoxicating love story set amidst the opium trade barons of Central India from the arid landscapes of the Maalwa plateau to the princely kingdom of Bhopal. Reveals Shilpi Dasgupta, "The series brims with extraordinary, real characters intense pride, devious deceit, violent retribution, but above all majestic love. Paan Parda Zarda is a sensory overload that will leave audiences numb in its aftermath, much like a hit of the opiate that has been deployed to win wars and change fortunes in Asia for centuries. Indeed, much of the history of our region has been dictated by whosoever has controlled opium." "Paan Parda Zarda reflects Big Synergy's ambition to create path-breaking fiction content. With our current and prospective collaborations with A-List creators in Bollywood and regional markets, we're all set to entertain viewers with top-notch content," said Rajiv Bakshi, the CEO of Reliance Entertainment's Big Synergy. The upcoming series is being helmed by producer Namit Sharma, who said "Set against a fresh, unseen milieu, the series has all the elements of an epic tale that straddles human drama, organized crime, and political machinations but at its heart, is a beautiful love story." This amazing pairing with the makers of Mirzapur leaves no doubt that the audience can expect the most thrilling Indian web series. PICS: Jacqueline Fernandez met her queen Priyanka and it was all LOVE Speculated couple, Sanjay-Madhuri BOND OVER KIDS after two decades!